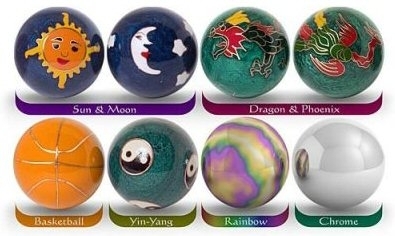 Health Balls were made roughly 2000 years ago in China. They used to be used for martial arts training. Eventually, it was solely for the us of the Imperial family. Today, health balls are a treasured necessity for Chinese people. It helps to build up strength and to promote health. They come in a pair. They are usually gorgeously decorated with exotic designs and are often deemed as delightful little pieces of art. They are wear resistant, the design does not come off and they are not easily breakable. The balls are generally heavy and within each is bell mechanism that produces a lovely and therapeutic sound while exercising. They come in a gorgeous little box that is wrapped in Chinese silk embroidery.